After the success of Mega Man 2 in 1988, Akira Kitamura, creator of the character and director of the first two games in the series, left Capcom. This is the story of the struggles the team he left behind had in carrying on without him. This is an excerpt from Mega Man 3, by Boss Fight Books, which you can get here. 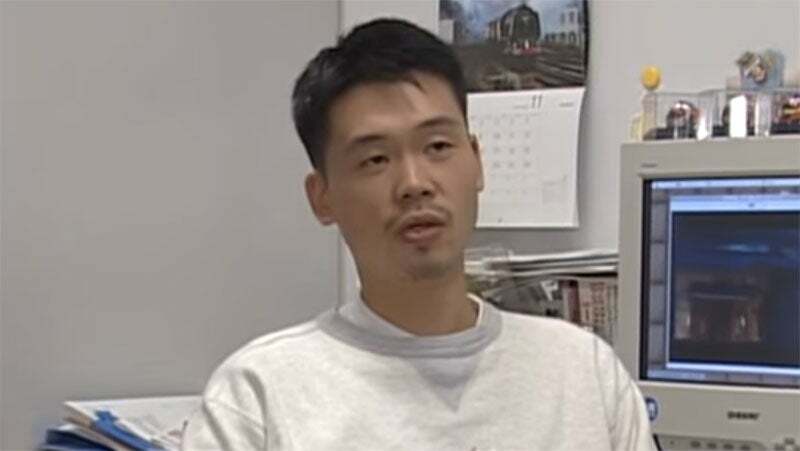 When Akira Kitamura left Capcom for the ill-fated Takeru, Capcom selected not series veteran Keiji Inafune to helm Mega Man 3, but Masahiko Kurokawa, a talented programmer who'd paired well with Inafune on Chip 'n Dale Rescue Rangers. A grunt planner for the Famicom version of Commando in 1986, Kurokawa was promoted to lead planner the following year for Higemaru Makaijima: Nanatsu no Shima Daibōken or Hell Island: Great Adventure of 7 Islands, Capcom's attempt at a Legend of Zelda-style adventure game. Hell Island was a financial breakthrough for the company and remains so popular in Japan that it was ported to mobile phones in 2006. Kurokawa struck gold again in 1989 when he designed the home adaptation of arcade hit Strider for the NES. Luckily for Capcom, no one outside of the company knew exactly who Kurokawa was. Just like with Kitamura and Inafune, Capcom enforced its pseudonym policy on Kurokawa who chose the moniker Patariro. This wouldn't be the only time Masahiko Kurokawa played with pseudonyms. Later in life, he'd adopt the professional name Masayoshi Kurokawa, which was featured in the end credits of the underrated PlayStation classic Tomba long after the industry's pseudonym policies had fallen by the wayside. This has led to a great deal of confusion in the Mega Man fan community over whether or not Kurokawa's first name is Masahiko or Masayoshi, or if they're two separate people entirely. Following the release of Rockman 2, Kitamura spent a lot of time pondering over how the narrative in the series had progressed. He realised that the first game contained virtually no motivation whatsoever until you reached the end of the game. Unless the player read the manual and discovered the brief backstory about Dr. Wily, she wouldn't even realise Wily was a character until she defeated the six Robot Masters and encountered him at game's end. This was a deliberate attempt on Kitamura's part to emulate Super Mario Bros., a game with a villain and motivation — King Koopa kidnaps Princess Toadstool, and you have to rescue her — that doesn't explain its narrative at the outset. That game begins with a slow Goomba ambling toward the player, who realises they must move forward to survive. Kitamura noted that only later does the player realise why they started the game in the first place. For Rockman 2, Kitamura inverted that concept simply by including a subtitle — albeit one that only appeared in the Japanese version — The Mystery of Dr. Wily. By including that subtitle and including Dr. Wily's face in Rockman 2's stage select screen — not to mention the text that runs in the opening attract sequence — Kitamura provided players with all the narrative justification they needed within the game itself. Kitamura told Hitoshi Ariga, "When it was time for me to quit the company, I had a talk with Patariro, my successor for Rockman 3, about continuing the series […], I was asked to give him any ideas for Rockman that I had at the time." Kitamura asked Kurokawa not to change any of the fundamental gameplay systems. More interestingly, he instructed Kurokawa to push the series even closer toward the soap opera aesthetic of his beloved Japanese ranger shows by introducing Proto Man and Rush, both riffs off characters from Kikaider and the Super Sentai Series. When asked directly by Hitoshi Ariga if he was the creator of Proto Man and Rush, Akira Kitamura admitted yes. Whether or not this means Kitamura actually sketched Proto Man and Rush is still unknown. Even though Kitamura was departing the company to develop a robot platformer that would compete head-to-head with Capcom's Mega Man team, he desperately hoped the series would thrive under new leadership and provided Masahiko Kurokawa with some of his best ideas and concepts that would reinforce the foundation of the series — Proto Man, Rush, and a reliance on melodrama that would permeate the Mega Man X and Mega Man Legends series. As development for 1990's Rockman 3: The End of Dr. Wily!? ramped up, the series found itself in its most precarious position yet. 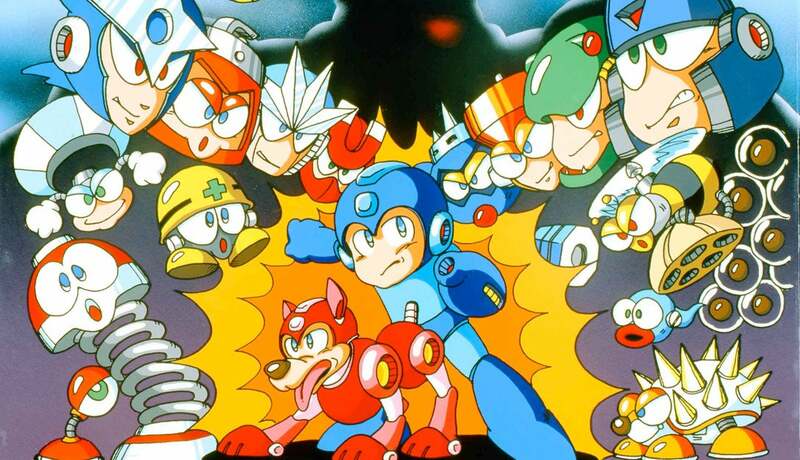 Mega Man was known throughout Capcom as Akira Kitamura's personal project. Could it survive a changing of the guards? Would Mega Man 3 mark the final entry in the series, or would Masahiko Kurokawa and the dev team prove that Mega Man was so strong a concept that a new team could design a fun game around the central character and established mechanics? Unsurprisingly, Masahiko Kurokawa was not the only key replacement on Mega Man 3. Takashi Tateishi, the composer of Mega Man 2, quit along with Akira Kitamura to work on Cocoron, leaving Capcom in the undesirable position of having to find a third Mega Man composer in as many games. Once again, Capcom opted for a neophyte. Hailing from Fukuyama in the Hiroshima Prefecture, Yasuaki Fujita composed most of the tracks for Mega Man 3 but was assisted by Harumi Fujita — no relation — just like Takashi Tateishi received help from Manami Matsumae on Mega Man 2. Harumi Fujita, a 29-year-old woman from Tondabayashi, Osaka, had already worked on the soundtracks for 1943, Bionic Commando, Final Fight, and Kurokawa's port of Strider. Although Harumi Fujita only contributed the Needle Man, Gemini Man, and Staff Roll songs and left the project during her maternity leave, the pairing of Fujitas worked so well they went on to collaborate with original Mega Man composer Manami Matsumae in Alph Lyla, an actual house band that performed inside Capcom headquarters sporadically throughout the 1990s. The collaboration between Kurokawa and Inafune, however, was not a happy one. In many ways, Mega Man 3 was a soft relaunch. The game's success or failure depended largely on Kurokawa's ability to mesh with the team members left behind from Mega Man and Mega Man 2. Unlike how candidly they will discuss the first two games in the series, team members from Mega Man 3 are reluctant to address its development process in English interviews. Keiji Inafune never refers to Masahiko Kurokawa by name, but we do know this: Halfway through development, Kurokawa abruptly left. The reasons remain unclear, but Kurokawa maintained a positive relationship with Capcom. He returned to serve as advisor on Mega Man 5 and 6 and was the supervisor of 1996's mega-popular Resident Evil. The reason I said that was my least favourite wasn't because of gameplay or that I didn't like the game, but it was mainly because of just what was behind the release of the game. For example, I was forced to put the game out before I thought it was ready, and we lost the main planner [i.e. Masahiko Kurokawa] along the way, so I had to basically fill in that role to finish the game. I thought that we needed more time, and we had two months to finish the final 50 per cent of the game. I knew that if we had more time to polish it, we could do a lot of things better, make it a better game, but the company said that we needed to release it. The whole environment behind what went into the production of the game is what I least favoured. Numbers one and two — I really wanted to make the games; I was so excited about them. Number three — it just turned out very different. Even after leaving Capcom in 2010, Inafune rarely says anything negative about Capcom or his many years there. But in Mega Man: Official Complete Works Inafune spoke a little more freely without directly mentioning Kitamura or Kurokawa by name. Keiji Inafune, today most famous for his work on Mega Man, didn't take over the series until midway through development of Mega Man III. We got a new leader for '3,' but [Masahiko Kurokawa] didn't really understand Mega Man the way [Akira Kitamura] did… and that resulted in some headaches. It was especially hard on me because I had learned so much while working on '1' and '2,' which left me with a lot of preset notions about how things should be. Inafune took control of the team halfway through development, and by that time he felt only so much could be salvaged since Capcom refused to delay the release. From Capcom's point of view, they had to beat Kitamura and Cocoron to market. Determined players can still find evidence that the game was rushed out the door. The Cutting Room Floor, a website dedicated to "unearthing and researching unused and cut content from video games," features a detailed expose on Mega Man 3. Hack deep enough into the Mega Man 3 source code — something possible even for novices thanks to emulators like Nesticle and the proliferation of ROM files — and you'll discover tons of unused graphics, backgrounds, and even Proto Man animations that hint at vast swaths of unfinished content sealed off from the player in the final days of the game's development. The biggest piece of evidence, however, was not discovered by Millennial hackers, but by confused children in the 1980s who assumed they'd stumbled on the motherlode of cheats. Almost all game designers use a debug mode during development that allows them to wildly change the parameters of the game at will — adding more lives, more health, stopping time, etc. And Mega Man 3's debug mode was activated by using the second controller, a peripheral otherwise unused in the game. In the race to release the game in Japan and North America before Christmas 1990, Inafune and company forgot to remove the debug mode. Play Mega Man 3 on an NES today and hold right on the second controller to give Mega Man a mega jump allowing him to fly across the screen. Hold up and A and the logic timer will stop, freezing a number of enemies and animation sequences. These bizarre features are a testament to how much Inafune had to scramble following Kurokawa's sudden departure. Like its predecessor, Mega Man 3 was a huge hit financially and critically in both Japan and America. Electronic Gaming Monthly, then the critical bastion of games in the West, awarded the game 9 out of 10 points, but Famitsu — Japan's top gaming magazine — didn't rate it as highly as Mega Man 2. The game sold well over a million units in an age when console gaming was still in its relative infancy, and many of the staples established in Mega Man 3 — Proto Man, Rush, and the slide — have been adopted in nearly every Mega Man game that has followed. Despite the dual exodus of both Akira Kitamura and Masahiro Kurokawa, Mega Man 3 stands as the game that firmly cemented not only the Blue Bomber as Capcom's company mascot, but Keiji Inafune as the series's spiritual godfather. It once and for all proved the series could continue with or without Akira Kitamura, who was subsequently reduced to a historical footnote while Keiji Inafune ascended to the rarefied developer air reserved for pioneers like Shigeru Miyamoto and Hideo Kojima. [My favourite] was… Mega Man 2. I guess that's the first one most people played. I used to rent it from the video store for weekends. Then I started playing the other ones. I got to 3. When they were current, I didn't play 4, 5, or 6. 3 was enough for me. It was a trilogy. Mario made it to 3 [on the NES], why did Mega Man have to keep going? But way afterward, I went back and played them all. 3 had the slide. 4 had the charge beam. They always seemed to add something new to it. But for some reason 2's the one everyone comes back to all the time, including myself. I'm not sure why exactly that is. I think it's just that everyone played it. It came out at the right time […]. One time to be objective as possible […] I played all six Mega Man games […]. I beat one and moved right on to the next one. And as I got through it all, I remember talking to [Mike Matei] about it, and he said, "How were all those Mega Man games? They go downhill after 3, don't they?" I said, "I don't know." To me they all seemed the same. They were all good. Maybe 5 and 6 weren't the best. But I thought they were all, as you said, interchangeable. They were all the same kind of deal. And wouldn't that partly explain why I value Mega Man 3 over Mega Man 2? I experienced MM3 as a fresh-faced six-year-old. Nothing will ever again make me feel the way I did during that fabled weekend in 1991. I didn't even play Mega Man 2 until high school, when I was busy listening to Slipknot in a Stone Cold Steve Austin t-shirt. By then, I was cynical and artificially jaded, my heart temporarily closed off from childhood wonder. My stubborn refusal to concede that Mega Man 2 might be better than its sequel could be pure nostalgia. The truth is the six Mega Man games on the NES are extremely close in quality, minor variations on a theme. The second game was a hit, the third close behind. That explains why most NES enthusiasts prefer one of those two over the rest: they experienced Mega Man 2 or 3 first. By the time Mega Man 4, 5, and 6 rolled around, most of the audience had already moved onto the Super Nintendo, Sega Genesis, maybe even the woefully underappreciated TurboGrafx-16. If that's true, then the "best" NES Mega Man game has less to do with content and everything to do with our personal histories. Dodgy quote formatting aside, enjoyed the read. I too am half and half on my favourite NES MegaMan, 2 was the 'wow they are not messing around look at this thing' game and 3 was the 'we could end the series with this, that's how confident we are' game. I'd say 3 is my favourite, because you also get to fight 2's bosses in it too. encountered him at game’s end. But girls didn't exist back in those days! Also weird that only a few sentences later they refer to the player as "they". Of course all of the N.E.S. Mega Man games are brilliant. But although the fanboys seem to have decided that it's law to promote MM2 as "the best," it's clearly not. It was like my favourite game ever when it first came out, but MM3 bested it in pretty much every way. MM1 is my favorite because that's the one I grew up with, although the intro to MM2 sends shivers down my spine and hairs stand on end every time I see it.